I clarified some things for myself. It seemed I didn’t understand something. So here we go… ready for two speelings?!?!? 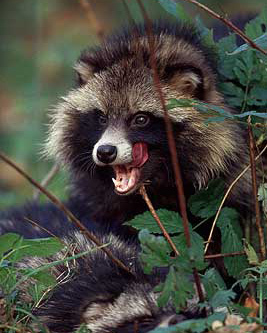 Tanuki refers to a wild Japanese dog that looks like a raccoon or badger. They do definitely look less like a dog. Which may be why they are thought of as mischievous, cunning, shape-shifting anthropomorphs in mythological lore. 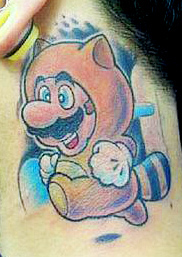 Tanooki is a Nintendo of America translation first utilized in Super Mario Bros. 3, being a full-body extension to the more standard, simpler raccoon tail. 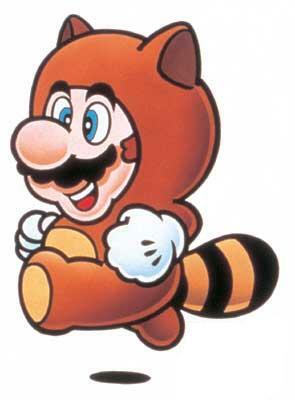 Where the raccoon tail can get Mario propelling forward through the air, the tanooki suit also allows Mario to transform into a statue which can be passed by enemies unharmed. Simple enough. It would be easy to conclude N of A changed the spelling for accessible pronunciation. Though, reading it as standard translated text, it sounds tah-no-oh-key rather than tah-new-key. 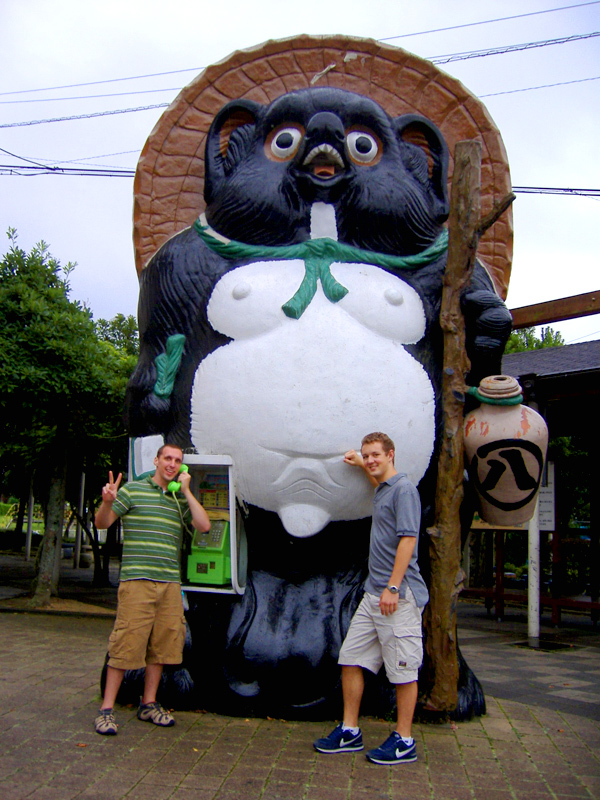 A public phone kiosk with ginormous testicles between it’s feet for happy foreigners to molest. It’s quite a scene! The sake is for good luck. 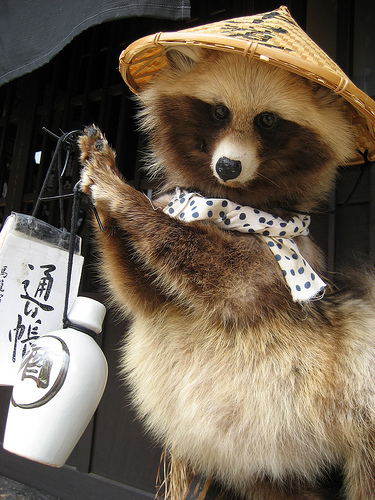 In Japanese folklore the Tanuki has great physical strength and supernatural powers. 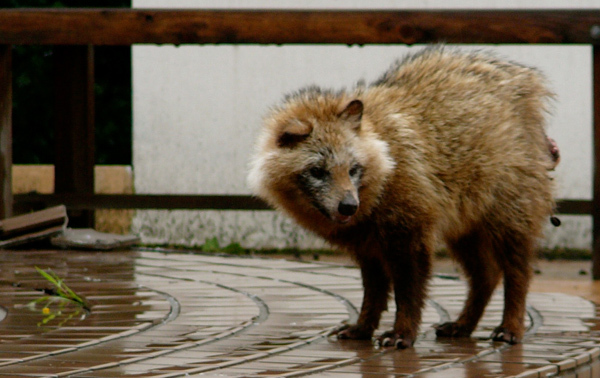 Like the kitsune (fox), it is a master of shapeshifting and disguise and is a mischievous creature taking all sorts of disguises to deceive or annoy travellers. 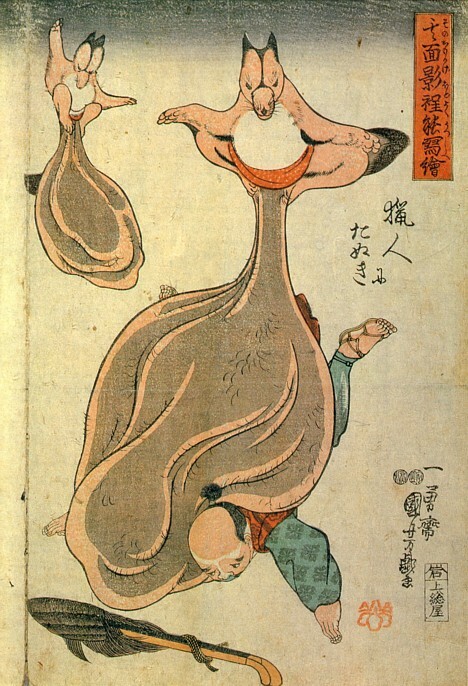 It will perform various tricks to get such things as saké, food, or women to the point of turning itself into inanimate objects, such as the tea-kettle in the famous story of the Bunbukuchagama. 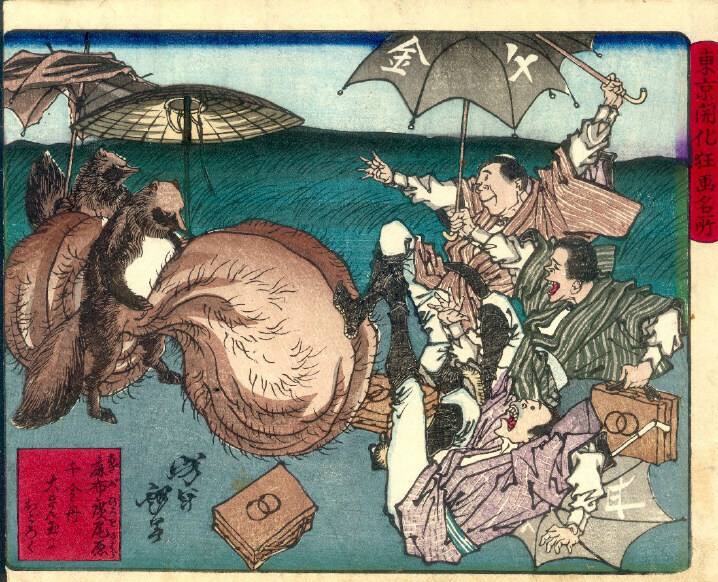 Is the scrotum pushing the tanuki up in the air or is this more like a flying sumoplex? Perfectly acceptable in public. This is what Mario and Luigi were up to? They dress up like furries, get smashed on sake, and then crush passerby’s with their inflatable testicles? Fun for the whole family! Truly likable your melody,Did he did you yourself? Thanks for the interesting bit of history and art. I laughed so hard, my scrotum inflated!